**Any parent or coach wanting to buy a ring or replace a ring can purchase the ring for $29.95 + tax and shipping and might have to special order depending on size and can take up to 3 weeks for delivery. This event is a 4 game format, 2 pool games seeded into double elimination. There are no guarantee in the amount of games a team will play. We would like to remind teams to preorder your WFC Fastpitch World Cup shirts to ensure that you get the sizes that you want. The price is $25 each and may be ordered in YM-AXXXL. Any shirts over XL will be $30. All preorders will be picked up at check-in and paid for at that time. We will have tournaments shirts along with other shirts and memorabilia available for purchase throughout the tournament while supplies last. PLEASE EMAIL PRE ORDERS FOR TEAMS to agplayer13@gmail.com. Pool games are 1 hour 20 minutes finish the inning and they can end in a tie. Score will be kept to seed for the bracket. Bracket games are 1 hour 30 minutes. Championship games are 2 hours or 6 innings for 8U, 10U, 7 innings for 12u, 14u, 16u, and 18u. Run rules is 12, 10, 8 and if game will be a WFC Shootout. Any game after 5 full innings is a complete game. Please RVSP as it is not manadory for the teams. Pin trading thru out the event.WFC staff will be on these fields, players can sign up as they want, Limit to 4 TEAM PLAYERS per event. Field B 10u & 14u Home run derby, Must have your own pitcher. All games are for fun & the results are not posted. Heat Warning: Due to extreme heat in this area in June, please drink plenty of fluids before, during and after tournament. Teams will be allowed one team cooler. All park rules will be enforced. WFC does require that all parents, fans, coaches, and players be on their best behavior while attending the WFC Fastpitch World Cup. WFC will not tolerate any unpartisan like behavior. Anyone who shows that they cannot control their behavior in a proper manner will be asked to leave the complex immediately or the police will be called. Coaches are responsible for thier players, assistant coaches, and fans. 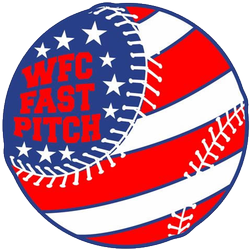 WFC Fastpitch World Cup schedule will be posted tentatively by TBA Everyone should realize the schedule is subject to change by teams dropping out, or adding teams, rain, lights not working, field damage, games going into extra innings, mistakes made in schedule, or many more reasons. Therefore teams should anticipate the possibility of late games any night and the tournament format can be changed. PLEASE CHECK THE SCHEDULE BEFORE AND DURING THE TOURNAMENT. Updates will be kept online WFC Blog for scores, schedules and weather changes. In case of catastrophic occurences such as but no limited to hurricanes, fires, flood, etc a tournament may be canceled due to the safety of all teams and families. If cancelation occurs, teams pay a $300 charge for event costs. World Fastpitch Connection Rates Coming Soon! Rates are based on 2 adults per bedroom. Add $12.20 per night for each additional person eighteen (18) and over. Ø Full American Breakfast Buffet at our Brass Anchor Restaurant offered at $9.00 inclusive per adult. (2) Children under the age of 12 eat free with paying adult. Ø 50% off entrees at our Mango’s on the beach Restaurant & Bar. Ø Conveniently located 10 miles from Grand Park Fields (Market Common) and Pepper Geddings Recreation Center. Ø We can offer a specialized “kid friendly” dinner with games/entertainment on property. Ø Meeting space available if needed. Ø Reservation booking by phone or website (www.meetingsatthebeach.com) with group I.D. · Free access to our “Hall of Heroes” exhibit. World Fastpitch Connection tournaments in 2017! Group dinner menus and private dining available, even in the summer months! The Dayton House is pleased to offer group rates for 2017 tournament dates. Rates are subject to taxes, currently 13%. Limited availability. Group rates can't be combined with any other offer or discount, or with any pre-existing reservations. Other exclusions or restrictions may apply. Need 10 or more rooms? Please call Jennifer Weihert at Ext. 7113 or crista@daytonhouse.com. Room reservations are now just a phone call or click away with ResLink! Individual reservations can be called into 800-228-9290 and reference WFC FASTPITCH WORLD CUP to receive the group rate of $179.00 per night per room plus 12% taxes and must be booked no later then April 22, 2016 to receive this rate. All reservations booked under this market code will enjoy complimentary resort fees. Please be advised when booking reservations guests will be made aware of our current resort fees of $18.00 plus taxes. Upon check in, the resort fee will be noted as complimentary and will not be charged. All reservations are subject to a seven day prior to arrival cancellation policy. All rooms are standard double queens and the rate includings parking, wireless internet, and deluxe continental breakfast. Rates are subject to 12% tax.